View Why JAMstack? Beyond static sites on Notist. We used to call them static sites, so why can’t we just leave that name alone? 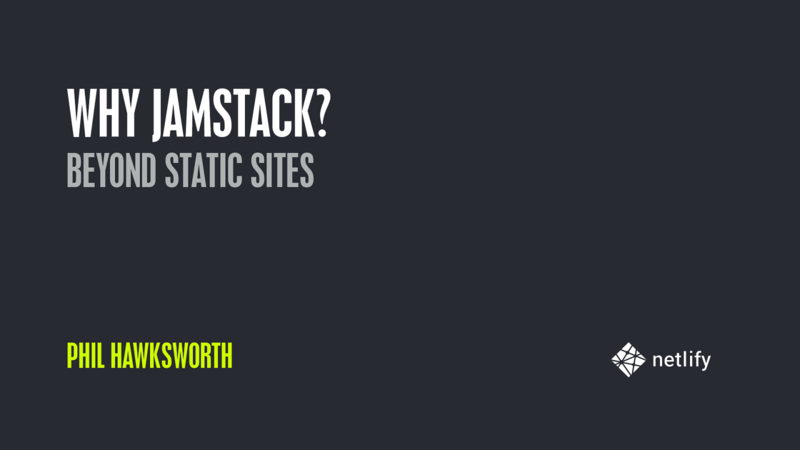 The JAMstack can actually go a lot further than delivering static sites. You can use it to deliver highly performant, secure, scalable… dynamic web sites. In this talk we’ll look at what the JAMstack is, and how we can use emerging tools and conventions to embrace the possibilities of modern web development without exposing ourselves to undue risk. nice webinar. Never paid much attn to static / jamstack, but seeing I want to start writing more, thought it be apropos for insight. Thx again.